For a while I've been participating in #MotivationMonday on Instagram. I'm not super faithful with it, but I try to post little things every Monday that have to do with health or mindfulness. I do it more for myself than for anyone else, and it helps me remember to be strong when I'm feeling weary. 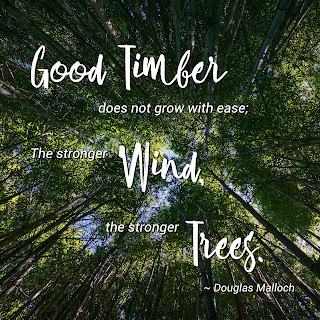 Today I posted a quote from the poem "Good Timber" by Douglas Malloch. Instagram got a quick doodle that I scribbled into my journal a while ago, but you guys get my hastily done Photoshop version instead (because you're special). This poem is one of my favorites, and I've written the entirety of it in at least a couple of my past journals. This is partly because I am fascinated by the tenacity of trees. I'm sure you've all seen pictures of trees that have grown strong in spite of the conditions they have faced. Trees that bend into strong winds. Trees growing through chain link fences and through sidewalks. Trees sprouting new branches from the wound of a lost limb. 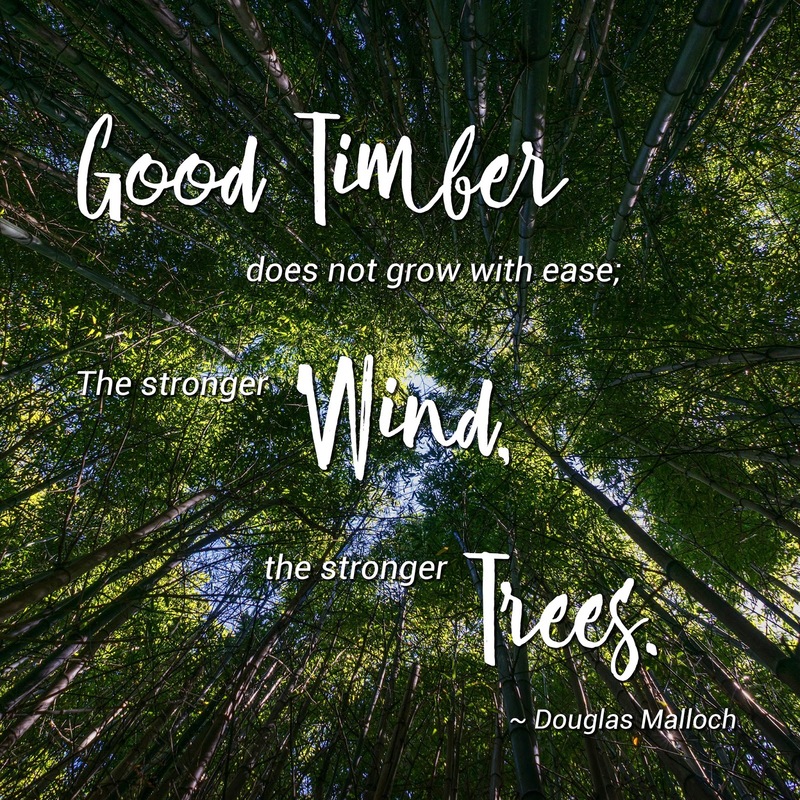 There are a heck of a lot of things that a tree can overcome! I try to think about these things in relation to myself. When people see my scars - emotional or otherwise - I want them to see how they have helped me become who I am, rather than as a reminder of how broken I used to be. More than that, I want to be able to look at myself and remember that any suffering I am experiencing will not last forever. I will grow around it, I will lean into it, and I will continue to survive. We are all capable of so much more than we realize. Just beautiful! Thank you, Kari, for sharing this poem and your thoughts on it.